Opportunities for libraries exist in a complex network of connections, interdependencies and feedback loops. The human brain has 86 billion neurons with an average of 1000 dendrites per neuron building a network with trillions of connections. The human brain is therefore one of the most extensive complex systems known to man. Embodied cognition goes further to consider the brain located within the human body where the compounding variables impacting cognition expand exponentially as we consider the complex interactions between the brain and the body’s many interconnected systems (here is an interesting discussion about AI & the role of embodied cognition). Zooming out a little further, we can observe that this embodied mind does not exist in isolation but lives within complex social networks of friendships, the classroom, family, acquaintances and social networks. Each of these social networks exist within evolving physical and virtual contexts with profound a influence on individual and collective cognition. Zooming out even further the connections between social groups in a local area, city, region and global contexts place each individual within an ever deepening array of interconnected networks. This is the nature of complex social systems where we observe complex systems nested within other complex systems producing a fractal phenomenon where zooming in or out reveals complexity at every level. In considering these levels of complexity we are undeniably led to establish that our students exist as a complex system and simultaneously within vast nested complex systems. Reductionist approaches can be an important aspect of a complex systems approach but in isolation, reductionist science is in stark contrast to complex systems thinking. Reductionist scientific approaches seek to reduce variables and study individual micro components to understand the whole, however, while this research is incredibly powerful, it is not until we take a step back to consider a system as a whole that we understand the meta significance of these component parts. For example, studying an individual neuron provides us with no clues as to how consciousness & self awareness emerges. Similarly, it is only in the context of the behaviour of the beehive that we are able to begin to understand the purpose and patterns of the flight of a bee (see this article on systems thinking in the classroom). While all the complex systems highlighted here – from the individual to the global – differ widely in the detail, they all exhibit the key components of a complex system. That is, individuals (neurons, people, or subsystems such as classrooms) and feedback loops via connections and interactions between these individuals. This results in a deep interdependence between these individuals where the behaviour of one individual is inextricably entwined with the behaviour of the other agents they interact with. The resultant behaviour of the whole (brain, body, classroom, social groups, school, society, and the global community) becomes an emergent property that is determined by these interactions. This is in contrast to a hierarchical system (such as authoritarian regimes) where order is imposed. Also in contrast is a mechanical system (such as a car motor) where the output is predictable. A motor requires the input of fuel and a linear chain of mechanical processes to produce a known output – we push our feet on the pedal and we know the car will accelerate. These are complicated systems and they are systematic but they are quite different from a complex system. A system like the Dewey Decimal System is a clearly defined and complicated system of organisation but it is not a complex system. The notable features of a complex system are defined by the interactions and feedback loops between individual entities. These interactions give rise to a number of defining features of a complex system. Complex systems are self-organising where patterns of behaviour are emergent, that is, observed behaviours are the result of interactions between individuals. The rules that define complex systems are rules that impact the interactions between agents. Patterns that emerge from complex systems are therefore difficult – if not impossible – to predict. Learning, whether considered at the individual level or organisational level, can be considered to be an emergent property and therefore, on a deep level impossible to predict. Learning that we are able to define ahead of time – such as learning that is tested by regurgitating facts – is a whole different class of learning and one of the reasons we may feel that this type of learning is shallow because it is disconnected from authentic and meaningful contexts and engenders very little personal relevance. On the other hand, emergent learning, includes the understanding and meaning that an individual student draws from the learning context. The apparently simple idea of “1 + 1 = 2” will mean many different things to students as they apply that idea in different contexts. As educators, we are able to craft learning environments, provocations, experiences and direct instruction to set the stage for learning by increasing a student’s opportunities to be exposed to and interact with new ideas, however, the personal new understandings, meaning and purpose students gain from that learning context cannot be predefined. Individual agents acting with choice (student agency) + interdependent connections building feedback loops = emergent learning. The implications of complex systems thinking for libraries can be considered in light of the interdependencies that exist for students at various levels. Complex systems thinking draws us to consider the agents – that is, the students – in the many different environments and contexts they move through in a day. Student centred practice is therefore at the core of complex systems thinking because we are always considering the student in context. It is the agents and the interactions they have that lead to the patterns and behaviours we observe. Organisational structures, such as scheduling or staffing arrangements, that do not consider the impact on the experience of the student is at risk of missing significant impacts on the interactions students have throughout their day and therefore the learning. At the micro level is the thinking and embodied cognition of each student. At the meso level are the immediate connections the student has with others and at the meta level we can consider the action of multiple interacting systems (see more on the micro-meso-meta levels of interaction). These interdependencies are present in the connections and feedback loops within these systems so to consider one element in isolation is to miss the very essence of the existence of that element. The librarian as an information specialist has a key role to play in these different levels of interaction. Information science has a long history closely entwined with the development of complex systems so in many ways librarians are well placed to engage with complex systems thinking. To understand the role of the library in learning, we can consider the impact of the library at the micro, meso and meta levels of interaction within the immediate and larger context of learning. At this point, it is also important to recognise that the emergent properties of a system are not always desirable. Bullying can be the consequence of a positive feedback loop that reinforces power imbalances, disrespect and abuse. Our role then is to consider the various factors throughout the various levels of a complex system that contribute to the emergence of bullying. We are then able, at all system levels, to craft contexts that enrich the feedback loops and connections between agents toward healthy interactions. In contrast, an isolated once a weekly/fortnightly visit to the library for a lesson disconnected from the life of the the school and other learning contexts greatly limits the impact we can have on learning. Direct instructional lessons or mini lessons do have their place but only in the context of the wider systems of connection that impact the whole learning experience of each student. To have the most profound impact on student learning is to have an impact throughout the various contexts that each students passes through, not just when they are in the library. For example, a librarian who is able to impact the parental understanding of the power of recreational reading and ways to foster pleasure in reading is a librarian who will have a powerful impact now and throughout that child’s life. In the classroom, discussions informed by compelling texts from the library that challenge individual’s world view and invite debate ignite informed interactions between students. This can only happen if the librarian is given time to research and inquire into the very best inspiration, diverse perspectives and creative endeavours the world has to offer – a strong and diverse print collection is a fuel for interactions within a lively complex systems. Library interactions that are embedded within the learning life of the student bring the power of the library into meaningful and relevant perception of the student. On the school wide scale, it is important for the library to be a part of the information landscape of the school – the website, communications between the school and home, student to student interactions and staff to staff connections. When the library is seen as a means to achieve all their goals and fuel inspiration and endeavour then the library is having a broad, deep and lasting impact on all the subsystems and therefore a deeper impact on learning. Relegating a librarian to limited roles, constricting resource budgets, and isolating the librarian from interactions within the school drastically limits the impact the library can have on the learning of every student. An integrated, embedded library is a library that fuels an energetic learning experience for students. At it’s core, the integration of the library into the learning life of students is based on enabling voice and choice for these agents. Student agency is a vital aspect of a functioning complex system at every level. On the individual level, students need agency to learn. For example, using reading levels to restrict choice (censoring) in selecting books in the library may feel like it is directing students to comprehensible texts but it is in effect limiting the thinking involved in selecting texts, limiting the depth of discussion around literature and story, and missing the rich complexities embedded within the experience of story that inspire, challenge and impel readers to act. Frequently, when a student comes to the library with instructions from an adult to select a text at their reading level, the discussion we have is difficult to move beyond reading level codes to the real wonder of story and new ideas. Reading levels are an example of an imposed top-down hierarchical framework that fundamentally limits the potential of a complex system. Reading level evaluations of our collection are helpful in ensuring we build a diverse and relevant collection but turning those reading levels on students is an act of oppression. A complex systems perspective still recognises the importance of comprehensible texts but takes a more wholistic view that also considers text in the context of the interests, passions, personal experiences, and motivations of the individual. A connection a student establishes with a book through their own choice driven by their own motivations is a connection that is sustained far beyond the conversation with the librarian. The result is reading for pleasure that has far reaching benefits for student learning. The library environments should also be designed to enable serendipitous discussions about books and ideas. Artefacts, media, furniture, images and student work on display can all be configured to fuel student discussion and collaboration. Interactions that are not reliant on the librarian to directly lead (only nurture) are interactions that will continue beyond the library and be sustained in ongoing conversation. This requires that the librarian releases direct control of these interactions enabling the students to build these connections themselves. Since these connections are not artificially contrived or imposed, these connections are generative in nature because they are based on the intrinsic motivations of students. Our task is to provide an inspiring context that feed the complex system by infusing the student environment with the best of human creativity and ideas. This leads us onto the resources we are making accessible to students. Canned information sources such as the many student focussed databases are useful but extremely limited because they are not produced by real authors, real artists, real illustrators, real journalists, and real researchers. This is mostly because this level of human creativity and human endeavour is time consuming and expensive. For example, famous children’s authors produce text at a far slower rate than education companies. Education companies produce texts at volume and are distributed on vast scales because this is what is required to make their business viable. It is therefore a business imperative that drives the creation of these texts – not a human desire to create, to share ideas, to share real story and to challenge thinking. It is therefore up to the library to ensure that we reach into the real complex system that is the diverse and interconnected world of real thinkers and creators, people with real experience who are deeply invested in making authentic and lasting connections with their audience. Searching for this authenticity and connecting our students to these inspirations is one of the most powerful ways we can feed the learning at micro, meso and meta complex system levels. A librarian that has the time and support to gather the best the world has to offer and bring these into the school context is able to have a powerful influence on student learning. Another powerful way to foster feedback loops and amplify the agency of individual students is to display student creativity in the library space. For this to be effective, it needs to be timely. Connecting to what is happening in classrooms and always being ready to notice opportunities to extend what students are doing to present in the library (QR codes, videos, student made books, and writers’ celebrations are a few examples). Presenting student work is an iterative process where learning is fed back into the learning context enabling the feedback loops of sharing, reflecting and collaborating. The creators can see and reflect on their work in a public space, while other students can observe the learning in action and benefit from student perspectives and processes. This fosters a complex system of feedback loops between students, between classes, between teachers and with library resources. Another example of feeding a complex system of interactions can be in setting up a document scanner connected to a projector + a microphone enabling students to select a book to read to an audience. With very little structure and an open mic platform for reading, the stage is set for students to connect with other students through story. Similarly, providing basic technology such as a video camera on a tripod with a microphone plus technical support to use the equipment enables students to interact in the act of creation. This can be set up as an open activity where students can create anything and share it openly. Anything can happen. The librarian’s role is to ensure interactions are respectful and supportive while helping with technical elements. The content is decided by the students. Complex systems thinking is powerful because children are complex systems. Complex systems thinking is powerful because children exist within many complex systems. To embrace these contexts and the complex interactions that happen throughout the students’ day is how we can have a deep impact on learning that is sustained beyond the library, beyond the classroom and beyond the school. Mithen, Steven. “Our 86 Billion Neurons: She Showed It.” The New York Review of Books. N.p., 24 Nov. 2016. Web. 12 Mar. 2017. <http://www.nybooks.com/articles/2016/11/24/86-billion-neurons-herculano-houzel/>. Zimmer, Carl. “100 Trillion Connections: New Efforts Probe and Map the Brain’s Detailed Architecture.” Scientific American. N.p., Jan. 2011. Web. 12 Mar. 2017. <https://www.scientificamerican.com/article/100-trillion-connections/>. Two recently published books bring together some important insights with significant implications for education and the school library. Age of Discovery: Navigating the Risks and Rewards of Our New Renaissance , by Ian Goldin and Chris Kutarna, published by Bloomsbury/St Martin’s Press. The Guardian, Society Opinion. Intelligence in the Flesh: Why Your Mind Needs Your Body Much More than It Thinks, By Guy Claxton Yale University Press. The Times Higher Education review. 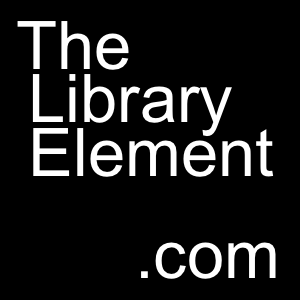 Rebranding libraries 2 : in with new, in with the old. Social media and new digital channels ensure that our connected world is always evolving. Branding in the commercial environment is no longer about projecting a message to an audience, it is about connections between people. This is where the traditionally commercial role of branding and the role of libraries converge. Libraries are still about books, knowledge and ideas but both the format, the medium and the modes libraries work across have expanded exponentially. Embedded in this expansion are the ways in which the library connects with people and more importantly, the ways the library connects people-to-people, ideas-to-ideas, needs-to-needs. Advertising agencies are no longer isolated in silos working to a brief provided by a company CEO, they are getting into the shoes of a company and into the shoes of the customers, connecting networking, working across platforms, focusing their message, and co-creating with their clients. This is where libraries have always been and where they are ideally placed to meet the needs of patrons in a connected world. For libraries, branding is an important piece to this puzzle and is an often neglected one. Branding a library is not about projecting a new modern face and it is not about sending the right message. The message is what libraries do. In this context, branding is about making connections between what people do and what libraries do. Libraries do things in society that no other organisation or system does. Libraries offer an experience, a collaborative space, an inspiration, and a story that no other physical or virtual space offers. Leveraging branding and marketing strategies offers useful insights into how libraries can make more authentic and meaningful connections within the community. Complex systems thinking provides a holistic framework for discussing Academic Honesty with students. Complex systems thinking leads us away from hierarchical structures of power and authority toward an emphasis on connections, dialogue and individual autonomy. Complex systems thinking embraces individual identity and diversity where students construct their own meaning through respectful and meaningful interactions with their peers. Rather than attempting to homogenise student understandings of academic honesty, a complex systems approach provides a rich context for individual and shared understandings to emerge by fostering interactions, collaboration and iterative feedback. The imperative from the class teachers: “We are concerned that academic misconduct may be on the rise and while teachers have discussed this with students having someone different to lead some sessions with this grade level may help them to understand academic honesty better and understand the importance of academic honesty with the hope that their behaviour will improve”. So the librarian was invited to take two sessions with this grade level which included 29 students. How can a complex systems pedagogy enhance student learning? How is a complex systems pedagogy relevant to the classroom and school library? This article will explore the theoretical ideas that underpin an understanding of complex systems. We will inquire into the relevance of an understanding of complex systems in education. We will apply these new understandings to examine the impact of a complex systems on the library, teaching and learning. I owe a great debt to the book edited by Mason, Mark, “Complexity Theory and the Philosophy of Education”. While I have explored complex systems in many fields over the years this book was a great help in applying these concepts in the education setting. I have included further reading at the end of this post. I am going to begin with a sceptical note. Complex systems theory has experienced an increasingly rapid rise in popularity in the social sciences and by extension is also gaining significant traction in education. In the milieu of fads and trends in education there are a plethora of claims made for the effectiveness of a particular approach that can yield the learning outcomes we are all in education to achieve. I am always cautious of a new programme packaged by the large learning corporations or promoted by individuals whose income depends on the adoption of a particular approach so in presenting complex systems in education I ask that you employ the greatest level of critical analysis and sceptical inquiry. This presentation is designed to challenge assumptions, open our minds and give us a more holistic view of our classroom and library practices. The value I see in a complex systems approach is that implicit within the theoretical framework is an open and holistic view of students and the educational context we are part of creating for them. Any theoretical framework that seems to lead to an unbalanced focus on single elements or purports to be a panacea is highly suspect because education is not simple. There is an undeniable complexity to the task we have as educators. When you consider the diversity of students within a single class, the thought that a single approach will meet all their individual needs instantly appears ridiculous. Herein lies the strength of a complex systems approach because at it’s very core is the embracing of the complex, the dynamic, the unpredictable, the intangibles and the challenges of working with children who bring a vast array of prior experiences, expertise and characteristics that come together to make them a collection of unique individuals.